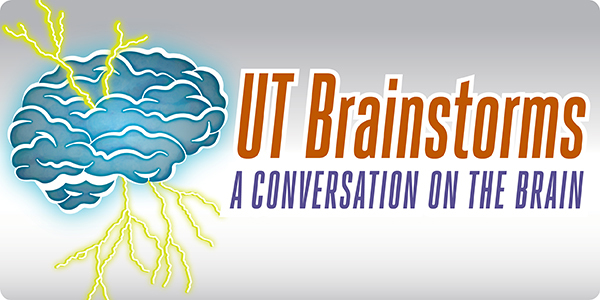 The Department of Neuroscience at the University of Texas at Austin is excited to announce that UT Brainstorms: A Conversation on the Brain, is returning for a second year, at a brand new location, the Lady Bird Johnson Auditorium! The purpose of UT Brainstorms is to connect with the Austin community, and ultimately with the Texas community, to inform and educate about neuroscience research and the influences it has on our daily lives. We seek a two-way conversation where we share our expertise about the brain and we listen to what it means in people’s lives and to the challenges they face as it relates to the brain. When: The dates for the 2018-19 UT Brainstorms Series are listed below. A different topic and faculty speaker will be featured each date. Please check back regularly to learn more about upcoming speakers and topics! Where: All Brainstorms public outreach events will be held on UT Campus at the Lady Bird Johnson Auditorium. 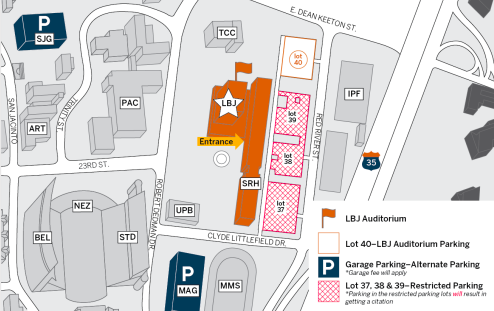 The LBJ Auditorium is located at 2313 Red River Street, Austin, Texas 78712.